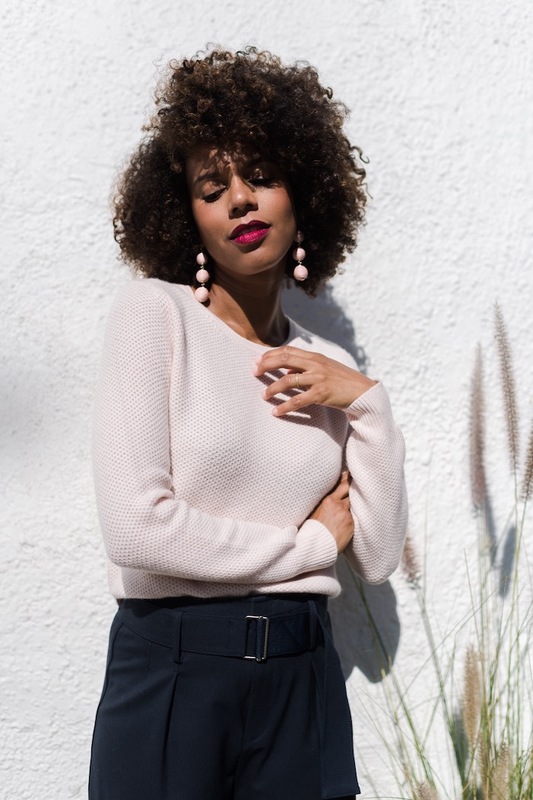 There is nothing cozier than cashmere and this pink cashmere sweater is perfection. I paired it with trousers and penny loafers for an “upscale casual” look. It’s an outfit you can wear to work, to a meeting or in my case, to an audition. This is the outfit of a woman (or character) with class and strength! Am I right? Happy Hump Day lovelies! Have a great rest of your week.